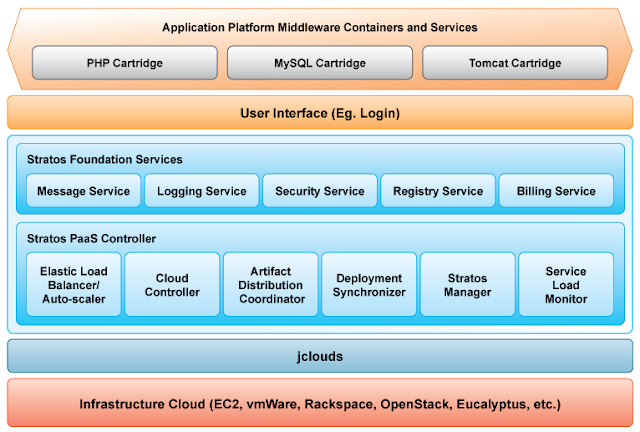 OpenStack celebrates it’s third birthday today! Visit the OpenStack birthday page for more information! In this year I started following the Master of Computer Science (MCS) at University of Colombo School of Computing and these days I'm following a module named "Advanced Concepts in Data Communication Networks"
The lecturer asked us to install a program called NS-2 and to play around with it as we will get an assignment on it soon! The FAQ at www.nsnam.org clearly mentions the difference between NS-2 and NS-3. NS-3 is a new software development effort and uses C++ programs or python scripts to define simulations. However NS-2 uses OTcl for scripts. In my previous post, I explained how to install OpenStack in Multi-Node environment with DevStack. If you want to install the OpenStack in a Single Machine, you can follow the same steps for the Controller Node Installation in my previous post. You can omit the "MULTI_HOST=1" line from the localrc. For example, following is a "localrc" configuration used to install OpenStack in a single machine. These days we are preparing to release WSO2 Stratos 2.0 PaaS Foundation and we needed to install OpenStack in multiple nodes in our lab environment. In this guide I'm going to explain how to install OpenStack Folsom using the DevStack script  and also how to install additional Compute Nodes. 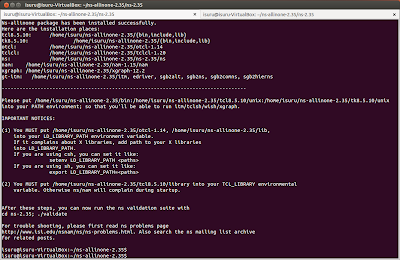 Installing OpenStack was not an easy task. 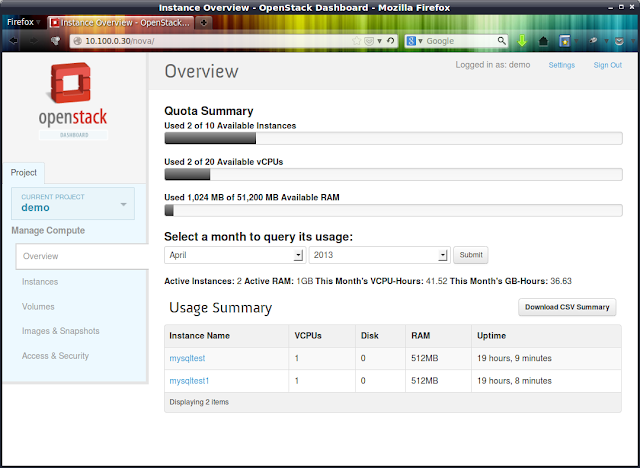 I spent last 5 days to install and configure the OpenStack and tried various guides. Earlier we used Damitha's guide to Install OpenStack Essex on a single node . Then we followed different guides. Finally we decided to try the DevStack script, which is a great option to install and run an OpenStack cloud in a local development environment. As you may know already, Oracle VM VirtualBox is a powerful x86 and AMD64/Intel64 virtualization software. I installed it on my laptop, which runs on Linux Mint 14. Whenever I go to VM settings, I get a warning saying "Failed to access the USB subsystem". The warning also provides the solution! "VirtualBox is not currently allowed to access USB devices. You can change this by adding your user to the 'vboxusers' group. Please see the user manual for a more detailed explanation." The vboxusers group is created during the VirtualBox installation. Now you can use following command to add your username to vboxusers group. Please remember to log out and log back in again. You can see whether you are in vboxusers using following command. No more warning message and you can use USB devices with VirtualBox! The 6th Java Colombo Meetup  was held on 24th January 2013 (Last Thursday) at WSO2 premises. The topic on that day was "Demystifying OSGi" and it was presented by Sameera Jayasoma and Pradeep Fernando. It was the second time I participated for this meetup. Both Sameera (@sameerajayasoma) and Pradeep (@pradeepfn) presented really well and they answered every question asked. I joined WSO2 recently and we also had internal training sessions on OSGi & OSGi-based WSO2 Carbon Platform . I would say Sameera and Pradeep are experts on OSGi. Following is the presentation. You can also go through it to get an idea of OSGi. I must also thank Prabath (@prabath) for organizing the Java Colombo Meetup and I admire his effort to bring the Sri Lankan Java developer community together. So, my last blog post is back in 2009!! So many things happened in my life last few years.